Now you’ve made your mind to have a cat and enjoy special company round house. The kitten in the ideal age of at least two months is coming. What a lovely moments you’re going to experience! Yet many things need to be set up the right way, and you are expected to have some kind of prior basic notions of how to raise a kitten. At first, the little cat may feel a little bit lost in his new environment, deprived of the presence of her mother, and of her brothers and sisters. Know that your kitten needs tranquility, patience and tenderness to adapt to his new environment. When you pick your kitten, put her in a transport box in which you will have placed an absorbent material: stress can cause many inconveniences! Talk to your kitten to make her feel home. Using a pheromone spray inside the cage can also have a calming effect on the kitten. 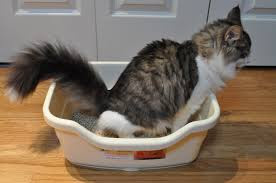 Once you get home, let your kitten take the initiative to get out of the transport cage: just open it, and place the kitten in a quiet place, near her litter box. A cat essentially needs three things: a quiet and comfortable place to sleep, a clean and private place to do her business, and a balanced diet. 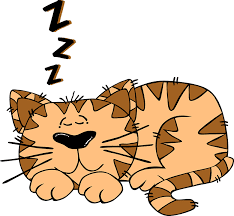 A kitten sleeps an average of 21 to 22 hours a day (an adult cat about 16 hours). This means if your pet's sleep space is important! Provide a comfortable or cozy basket or rug in a quiet place. However, cats are quite independent and can then choose to sleep where they want to ... including your own bed! The cat is discreet and its litter must be placed in a quiet place, out of sight, where it will not be disturbed, and away from the dining area. You can opt for a single tray, or for a "toilet" with a roof, which has the advantage of ensuring the privacy of your cat, but also filter odors thanks to a charcoal filter placed in the lid (And which must be renewed every month). Since the cat is an extremely clean animal, it is essential to remove the soil every day, to adjust the level and to carry out a complete cleaning of the tank every week, with washing with bleach and renewing the litter. Several types of litter available in shops: simple gravel, high quality gravel (low dust and high absorption capacity), clumping clay and non-clumping litters, silica gel crystals litter and recycled paper litter, etc. be thoughtful to pick up the right one as some cats have little appreciation for some types and sometimes refuse to use them. 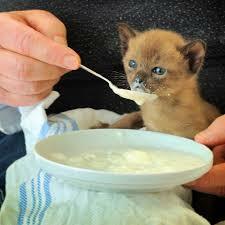 It is good to welcome your kitten with food, if possible the same as the one he had before adoption. Check with the seller or individual and take a sample if necessary. Any change in feeding the kitten can result in severe diarrhea and dehydration. If the diet does not seem suitable, gradually introduce over several days the one you want to give it, mixing old and new food. Do not hesitate to consult your veterinarian on the most working diet for your kitten. Do not forget to leave fresh and clean water available (change it several times a day if possible): some cats enjoy drinking from taps, or from a water fountain. Finally, avoid milk as much as possible; most cats do not digest it! To complete these essential needs, do not forget some age-appropriate toys, a scratching post, and trust your little cat, she will soon get accustomed to the new home and the new life!